When was the last time you had one of those “bad parent days?” Maybe it was an awful fight between siblings, an extremely difficult bedtime routine that ended up with you yelling or hitting your children, or maybe you got so frustrated for another reason that you said something you wish you had never said. You flipped your lid. Then later you felt bad about it. Maybe even awful. Even though you may have felt very alone – you are part of an enormous club. This scene played out in my house and every parent I have met has bad moments like these … but they rarely talk about them. The stories remain hidden in lonely closets of shame. To make things worse, many of us remember promising ourselves that we would never treat our own children the way we were treated. – There is a difference between I am a mistake and I made a mistake. – What happened is not likely to permanently scar your child. You can make a repair after you are calm and your child is calm (it could be hours or days later): briefly acknowledge your mistake (without excuses), express regret and tell your child your plan to make sure it doesn’t happen again, or, at least, happens less often. Repairs bring families together. – Support helps us remember: we are not alone. – Support helps us calibrate our standards. Watching TV, reading stories about parents who do amazing things can make us forget that we aren’t hearing the whole stories. Behind closed doors no family is perfect. – Support helps us have the courage to be imperfect. – Find a listener who is good at empathy (or be that listener for someone else). – Join a parenting group or take a class. Most parenting groups include people like you who are trying to be the best parent they can be…and have times that they really struggle. (Most parenting educators have plenty of those moments too.) For a list of classes check our website. – Follow us on Facebook, Twitter or here on our blog for short tips. –	– Ask for help. Sometimes friends and other parents don’t feel like enough. Your family physician, pediatrician or your child’s school counselor will have names of other resources. Sound Discipline also has a list of parenting coaches. – Take a breath. Be kind to yourself. Speaking of support: Sound Discipline produces this newsletter/blog to support parents in our community. Your support helps us share what we are doing with more parents, more teachers and more school administrators. May 2nd, 2012 is the Seattle Foundation’s second annual GiveBIG community fundraising. Donations made on May 2nd through the Seattle Foundation website share matching funds from generous supporters of GiveBIG. We’d appreciate your support on May 2nd. Thank you! 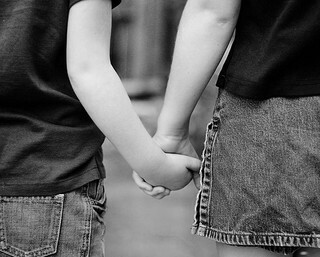 This entry was posted in Connection and love, Self-care and tagged parenting, parenting_challenges., support_for_parents. Bookmark the permalink.